We are looking to fill the following positions at our newest property Goatfell (Nuwara Eliya). All candidates should have a minimum of one year’s experience in any of the above positions to qualify. We encourage candidates in and around Nuwara Eliya to apply. 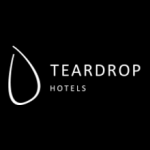 If you meet and exceed our requirements, please call 0777599020 or send us your resume with at least two contact numbers to vacancies@teardrop-hotels.com.